Welcome to the final Creative Kids post of 2017! Caterpillar and I have been big messy plans since he was tiny so I’m really to share this post from Jenny at Rabbit Ideas. ‘Messy play’- this phrase seems to divide parents into two camps. There are those who love it and enjoy sharing photos of their children knee deep in gloopy puddles at a ‘mud kitchen’, and there are those who do not enjoy it, preferring to delegate such activities for nursery, pre-school, the childminder or Granny! However you feel about messy play at home; there are real benefits to making sure that toddlers and pre-schoolers have lots of opportunities, somewhere, to explore in a messy way. Some of these benefits may not become evident for some time; risk taking, resilience and problem solving skills all take a long time to develop (most of us adults are still learning these!) but they are worth starting young, and messy play is one way to do this. There are other skills, though which can be noticed and measured much more quickly, and one of these is language skills. The first way messy play helps is that it opens up a whole new vocabulary to the child. Not only can they see what ‘slimy’, ‘sticky’, gooey’ are supposed to mean, they can start to feel and experience what those words mean for themselves. 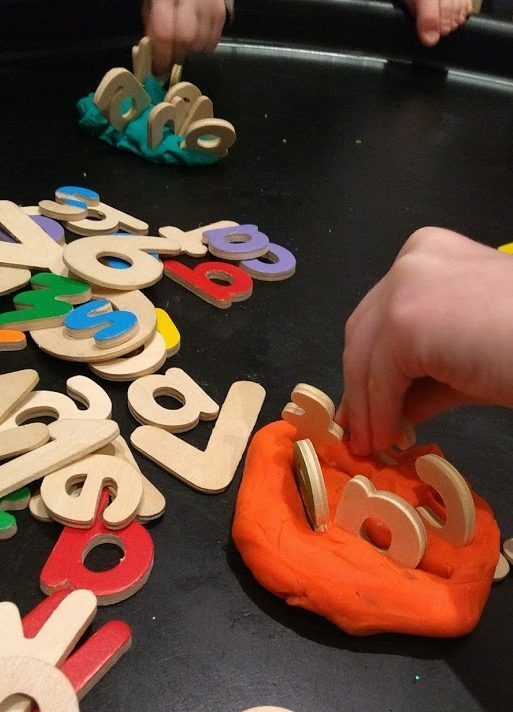 By adding other resources, such as toy animals, vehicles, shapes or letters to the messy activity, you can practice new sounds and words together, learning all of them in a fun and engaging way. Often, toddlers will become quite engrossed in their ‘work’ if there is a messy element involved. This means that they are focussing on one set of resources for a longer period of time. This is a great way to encourage conversation, while the child is concentrating on something, the adult can ask them questions and respond to their answers. Whilst it is great to ask children questions to get them used to listening and responding to others, there is also an opportunity with messy play to watch the child playing and let them take the lead in initiating talk. Sometimes this will be in noises, rather than words: “ooo-ooo” “ahh!” But if we have a look at what they are doing, often there is a story developing. Is there a monkey which is being chased by a crocodile across the foam? Have they drawn fireworks in the sand tray with their finger for the toy people to watch? If you watch for long enough, words might become part of the play- often children are processing learning they have recently been doing. Sometimes a really long word will come out- it might not yet be in the right context, but they have been listening to all you have been saying and reading to them! Do you enjoy setting up messy play activities? What tips do you have for keeping it stress-free? I’d love to hear your ideas! 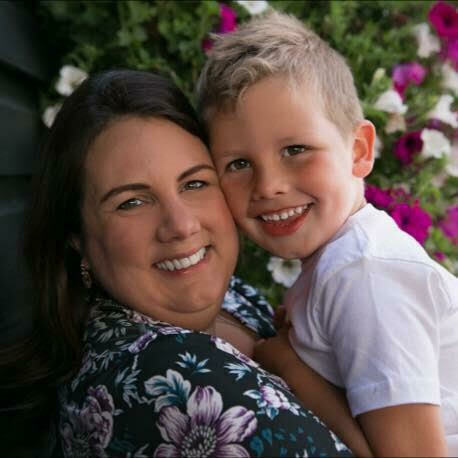 Jenny is a qualified teacher and parent to two young children. She blogs at rabbitideas.co.uk, sharing literacy ideas on a budget. You can follow her on Instagram, Pinterest, Twitter and Facebook.